Sibu (Malaysia): In what was an eventful day for India at the Malaysia Masters, World No 16 B Sai Praneeth along with the women’s doubles pair of Ashwini Ponnappa and N Sikki Reddy advanced to the pre-quarterfinals at the USD 120,000 Grand Prix Gold tournament on Wednesday. Praneeth took 44 minutes to see off Thailand’s Kantaphon Wangcharoen 21-13, 21-13 in the first round and progress. While the duo of Ashwini – Sikki needed just 25 minutes to ease past the German pair of Johanna Goliszewski and Lara Kaepplein 21-15, 21-12 and advance to the next stage. Earlier the Indian shuttlers had a shock start to the campaign when the highest ranked Indian mixed doubles pair of Pranav Jerry Chopra and N Sikki Reddy crushed out of the opening round itself after losing 18-21, 17-21 to the seventh seeded duo of Lee Chun Hei Reginald and Chau Hoi Wah of Hong Kong. 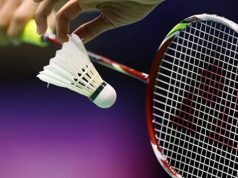 It was a dismal start as none of the shuttlers competing on Tuesday could progress with Parupalli Kashyap in the singles, Aparna Balan – Sruthi KP and Sanyogita Ghorpade – Prajakta Sawant in the women’s doubles qualifiers all starting their international season on a disappointing note. 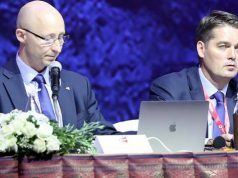 Kashyap suffered a 14-21, 17-21 loss to Thailand’s Kantaphon Wangcharoen, while countryman Subhankar Dey lost 21-11, 11-21, 9-21 to Kim Bruun of Denmark. In the women’s doubles qualifiers Aparna Balan and Shruti KP went down 12-21, 21-18, 15-21 to the Singapore pair of Ong Ren-Ne and Wong Jia Ying Crystal. Another duo of Sanyogita and Prajakta suffered a 20-22, 18-21 defeat to the local pair of Chiew Sien Lim and Zhen Yap. However, the Indo-Malyasian combo of Prajakta and Yogendran Khrishnan progressed to three second round of the mixed doubles category after getting a walkover from the Australian pair of Swan Serasinghe and Setyana Mepasa. 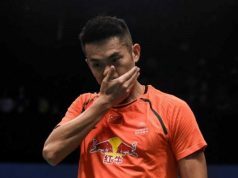 Meanwhile, in the men’s Singles category, reigning world champion Viktor Axelsen remained the sole survivor among the too ranked players as China’s Lin Dan, Chen Long, South Korea’s Wan ho and Malaysian veteran Lee Chong Wei all were eliminated in the very first round.